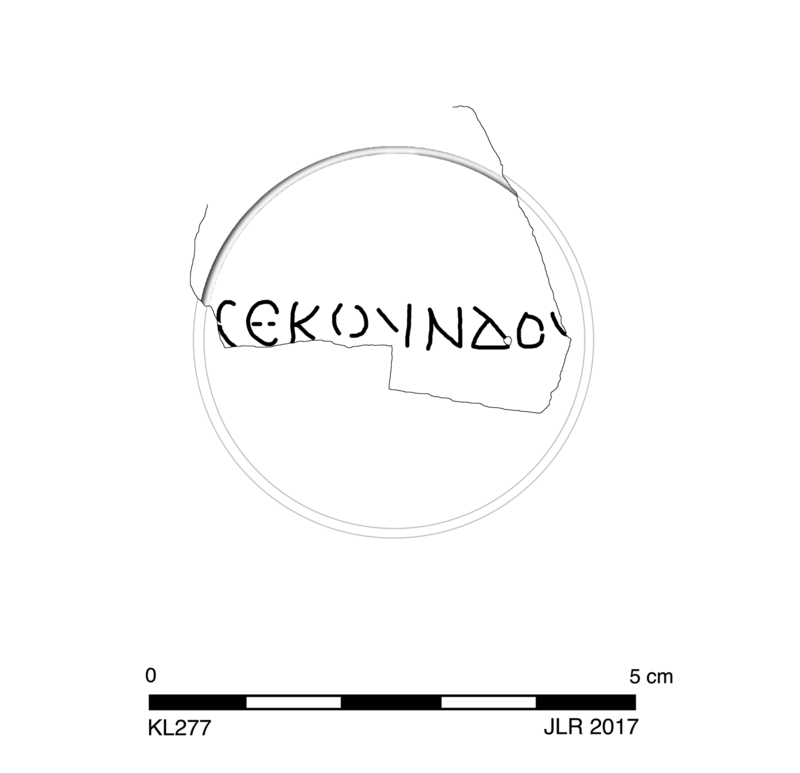 Flat, circular base has single groove around incuse signature: ϹΕΚΟΥΝΔΟΥ (large, clear letters). Cf. KL291. Early/Middle Roman Corinthian red lamp fabric: fine, somewhat hard with platy fracture. 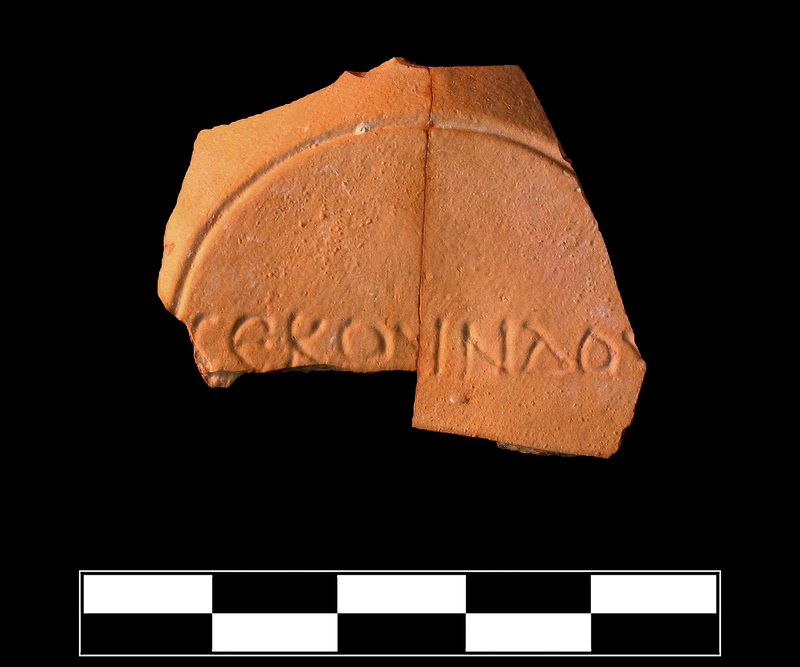 Two sherds preserve most of base. Sparse, slight chipping; slight patches of encrustation.